Simply put: How does Fleet Management work? 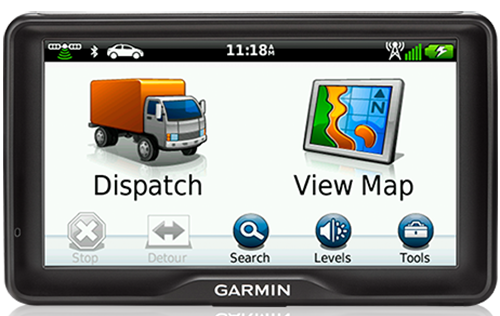 The Garmin Head-Up Display (HUD) receives navigation information from your smartphone and projects it onto a transparent film on your windshield or an attached reflector lens. Get futuristic turn-by-turn directions to your destination for easy viewing while driving. HUD automatically adjusts its brightness level, so its projections are clearly visible in direct sunlight or at night. The device offers far more navigation detail than other portable HUD systems, displaying turn indicators, distance to your next turn, current speed and speed limit and estimated time of arrival. HUD lets you know what lane to be in for your next maneuver, as well as alerts you if you exceed the speed limit. It even warns you of potential traffic delays and upcoming safety camera locations.